Win a pre-grams Eagles tailgate party before the game on October 11, 2018 for you and 50 of your friends! 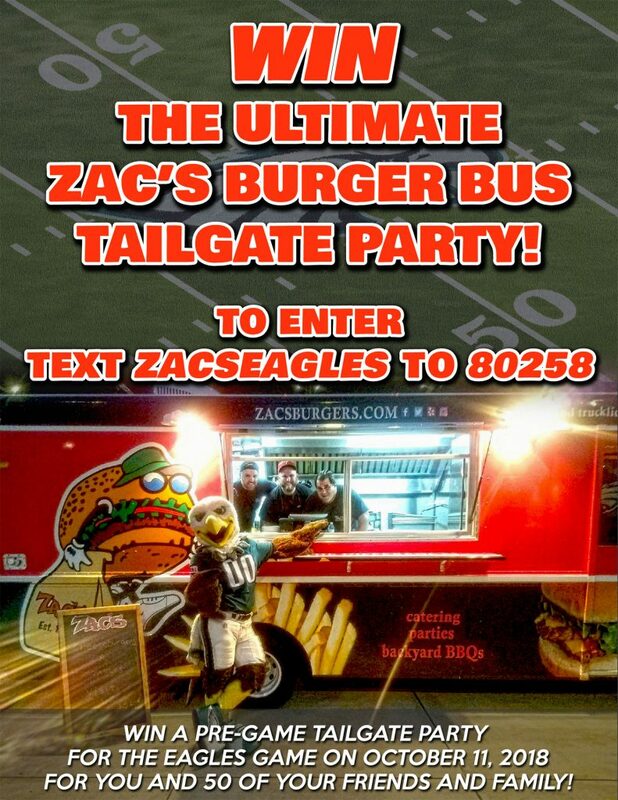 To enter, simply text ZACSEAGLES to 80258. Good luck and may the best Eagles fan win!